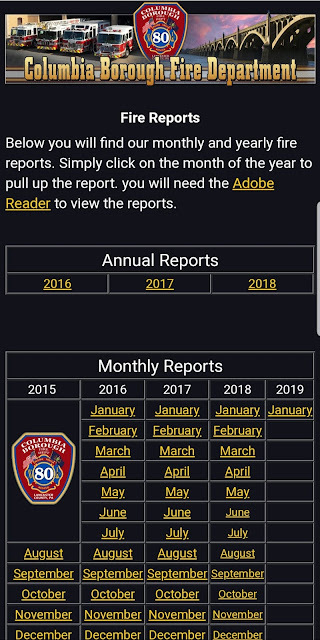 The 2018 Annual Fire Report is now available on the Columbia Borough Fire Department website. (January 2019 is also available.) The website also includes previous annual and monthly reports. The reports can be accessed HERE.